Santa Barbara is a beautiful place, with mountains on one side of the freeway and an ocean (the pacific) on the other. It has alot of the benefits of a large town, but retains a small town feel. The weather is best described as an eternal beautiful day, but sometimes you do need to wear a long sleeve shirt in the winter. 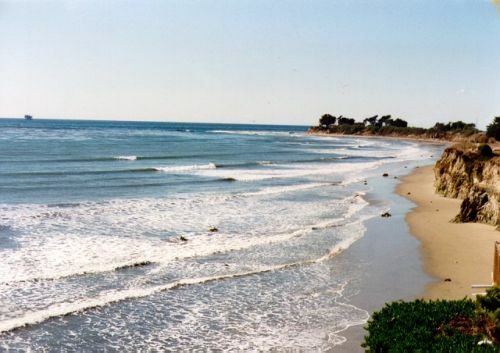 During the time I lived there, I spent 2 years getting a Masters Degree in Signal Processing at UCSB and 6 years working for a startup medical device company named Computer Motion Inc. .
Anyways, the first place I lived in was in a campus ghetto called Isla Vista (better known as IV). I lived at 6757 Del Playa (oceanside) with 7 other people I had never met before then. 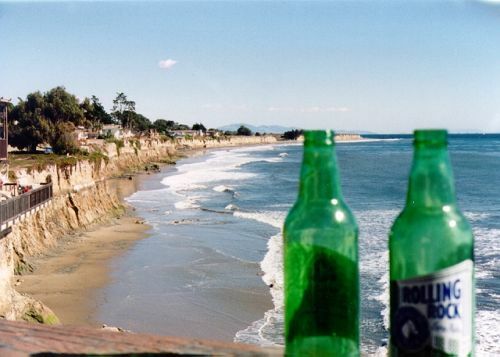 Some of my best memories of Santa Barbara came from this place. During this time I spent my weekends either skydiving in Paso Robles, or going to Club Chuck's at Lake Nacimiento for some waterskiing and good fun. After everyone from that house graduated and left town to start a 'real life', I made the big move 3 blocks away to 6622 Sabado Tarde where nothing much exciting happened. Eventually I had my fill of 'bowling shirts' and 'keggers of Sierra' and moved out of IV into 4525 Hollister, a 5 bedroom house in Santa Barbara proper. It was during my time in this house that I learned to hangglide. It was in the driveway of this house where I performed alot of car detailing, and in the garage of this house where my 12t4 hovercraft was conceived. After a few years my company went public (NASDAQ: RBOT) and while everyone else was handed options and getting rich, somehow I was left behind, probably too busy developing the HERMES product line from the depths of my 'Dilbertian' cubicle. As I said, work turned into a day with Dilbert and waking to a perfect sunny day 365 days a year for 6 years started to wear on me. One day, late to work as usual, I made my way wearily into my bosses office for the daily badgering. It was then that I decided on the spot to call it quits. A decision that had been brewing in my mind for quite some time. I was itching for adventure, and what could be more adventurous I thought then travelling around the world? And with that I packed up my motorbike and started driving South on the 101 toward Mexico.